Plastics deserve acclaim not blame – a message that experts at the Asia Plastics Forum (APF) want to put out to the world, says Angelica Buan in this report. “Quickness is the essence of the war”, Chinese philosopher Sun Tzu said in his book, Art of War. This strategy comes in handy for the plastics industry, which has been dodging the blame thrown at it for the alarming environmental findings. The latest report from the World Economic Forum (WEF) on the plastics economy has pulled yet another trigger: plastics as a major waste generator that infiltrates our oceans could potentially displace sea life by 2050, a worst case scenario and one that can be mitigated, say industry experts. At the Asia Plastics Forum (APF), held 20-25 January in Bangladesh, speakers invited from different industry organisations opined that the industry has to win the vote of confidence from the anti-plastics sector by presenting salient facts about the material. “Plastics have been singled out as the only villain (in this issue),” said KK Seksaria, President of PlastIndia Foundation, who asserted that there are a variety of materials that also contribute to the waste problem like paper, cartons, cans and bottles, all of which have been overlooked. “Municipalities regard single-use, disposable items as an environmental nuisance. And in many Asian countries, only one sector is always associated with waste packaging, that is, plastic,” he said. Michael Taylor, Vice-President, International Affairs and Trade of US plastics industry trade association, SPI, agrees that the plastics sector is challenged with foodservice packaging bans, marine debris, product de-selection based on chemical content, bag bans or taxes’ and extended producer responsibility. “We have an image problem,” Taylor told the forum participants. Taylor said that the resins under attack are PET, polystyrene, PVC, polycarbonates, epoxy resins and polyurethanes. 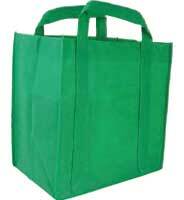 “Plastic bags are greener than paper bags. Disposable plastic cups have fewer impacts than reusable ceramic mugs, according to life cycle analyses,” he stated. Debunking the myth that plastic uses up fairly large amounts of resources to produce, he said that plastic packaging in fact helps reduce the amount of materials used. He gave an example of liquid packaging from Ecolean Group, which was founded in 1996 in Sweden to produce flexible lightweight packaging and a filling system. The company’s pouches are used for liquids such as milk and juice and cut packaging weight by more than 50%. As well, the role of plastics in enhancing a packaging’s environmental performance is usually undermined. “Many types of plastic packaging help to reduce packaging weight, energy use and greenhouse gas emissions. On the other hand, the use of non-plastics alternatives would increase energy use by 82%, equivalent to the energy from 91 oil tankers,” Taylor adds. For those pushing for alternatives, preferring that would translate to a 130% higher increase in global warming potential. “That's like adding 15.7 million cars on our roads!” Taylor exclaimed. 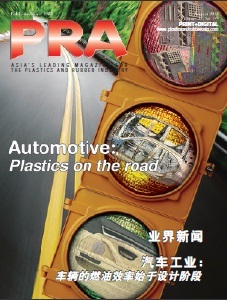 Meanwhile, Lim Kok Boon, Chairman of the Malaysian Plastics Forum (MPF), and President of the Malaysian Plastics Manufacturers Association (MPMA), said, “About half of all European goods are packed in plastics and 60 million tonnes of CO2 are saved per year." To prevent food wastage, food packaging is reliant on plastics. “Plastics packaging for meat, for instance, extends shelf life by three to six days and even longer for the most advanced ones. Considering that producing 1 kg of beef leads to emissions equivalent to 3 hours of driving, this extended shelf life is a substantial improvement for our planet!,” Lim explained. Lim also added that plastics enable resource efficient packaging solutions, due to the fact that plastic packaging facilitates significantly reduced material consumption, which results in less energy use. Identifying which of the materials from the waste mix have the most environmental impact is possible with a Life Cycle Assessment (LCA), a holistic methodology in evaluating environmental impact associated with all phases of a product’s life from cradle-to-grave, explained Crispian Lao, Past President of the Philippine Plastics Industry Association (PPIA) and Vice-Chairman of the National Solid Waste Management Commission. To set matters straight amongst the current common options for packaging, plastic bags (non-biodegradable), paper bags and non-woven PP bags (reusable bags), LCA has been employed to determine which has the least impact. It has been found that non-woven bags have the least impact, followed by plastic bags, in terms of fossil energy use, global warming potential, ozone depletion, acidification, eutrophication (or the over-enrichment of water by nutrients such as nitrogen phosphorus, which is a leading cause of water quality impairment), petrochemical ozone depletion (smog), ecotoxicity, flooding, and dumpsite utilisation. Meanwhile, Lim Kok Boon cited in his presentation the current applications for plastics, since other materials like metal, glass and aluminium may not be suitable. 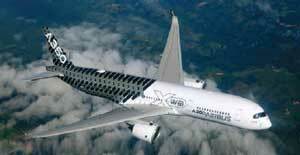 “Plastics help make an airplane lighter, therefore contributing to the reduction of CO2 emissions. Plus, fuel consumption is reduced,” he said. Light weighting of cars is also possible with plastic parts enabling a 40% to 50% weight reduction than those made from alternative materials, Lim said. 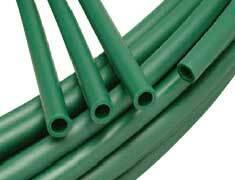 He also enumerated how plastics pipes are energy efficient and their low weight means less energy in transport, handling and installation. “A new portable purification system made of plastics simplifies on-site conversion of large quantities of dirty water into potable water,” he noted. 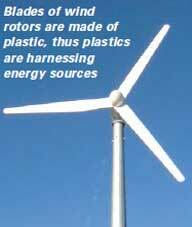 Plastics are also being used to harness energy sources. “Did you know that capturing the power of the wind would be impossible without plastics?” Lim asked participants. “The windmill blades are almost entirely made of fibre-reinforced plastics, as only this material is able to withstand the permanent mechanical stress on a rotor of this size. Without this capability, we cannot benefit from wind power,” Lim said. For insulation, Lim said the materials can improve energy efficiency. “With efficient insulation in buildings, from cold and heat, plastic insulation materials consume approximately 16% less energy and emit 9% less greenhouse gases than alternative materials. Across their whole life cycle, plastic insulation boards save 150 times the energy used for their manufacture,” he explained. 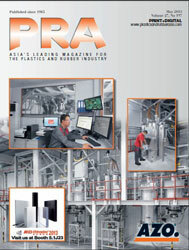 Lim waxed lyrical about plastics, stating that the polymers promote less greenhouse gas emissions at production level. “Most plastic products need less energy to be produced than other materials, especially in applications such as transport, building and construction, packaging and electronic devices,” he reiterated. Hence, he said if plastics were to disappear and be replaced with alternative materials, the life-cycle energy consumption for these alternatives would be increased by around 57% and greenhouse emissions would rise by 61%! Holding up the reputation of plastics is a concerted effort that needs to come from stakeholders, producers, consumers and the media. “Brand owners have roles to play,” Seksaria said, adding that it is important for the plastics industry to be more proactive in managing all packaging wastes. He explained that if all stakeholders worked together for a more efficient waste management programme, it would provide benefits for all. Meanwhile, Lim stressed on the premise that around 96% of crude oil and gas goes directly into energy production for heating, transport and electricity; and only 4% is used for the production of plastics. “Consumers need to make wise choices by making decisions based on science and facts from reputable resources and not on mere perception,” Lim advised, adding that plastics are a valuable material that can be reused and recycled. Amidst the slew of misconception thrown at plastics, the experts are hoping that the world will look at plastics with an objective eye. To spread the word, engage the new and traditional media, Taylor advised. Taking stock of the stories that are newsworthy can get the word around about the wellrounded benefits of plastics, he said. Likewise, as he mentioned in his presentation, the role of PVC as a barrier material during the outbreak of the Ebola virus, to isolate patients and prevent spread of infection, shows the beneficial use of the polymer. He also pointed out other examples on the life-saving uses of plastics, such as how plastics can be used for delivering clean water during disasters; and how plastic netting can help combat malaria in homes. “Be clear about your message. Tell human stories. It’s all about narrating the human impact – how it affects real people,” was Taylor’s message to participants.